With the end of Daylight Savings Time, that commute home from work is a dark one. We all rely on our headlights to guide us safely but every now and then, they get cloudy and fogged up. 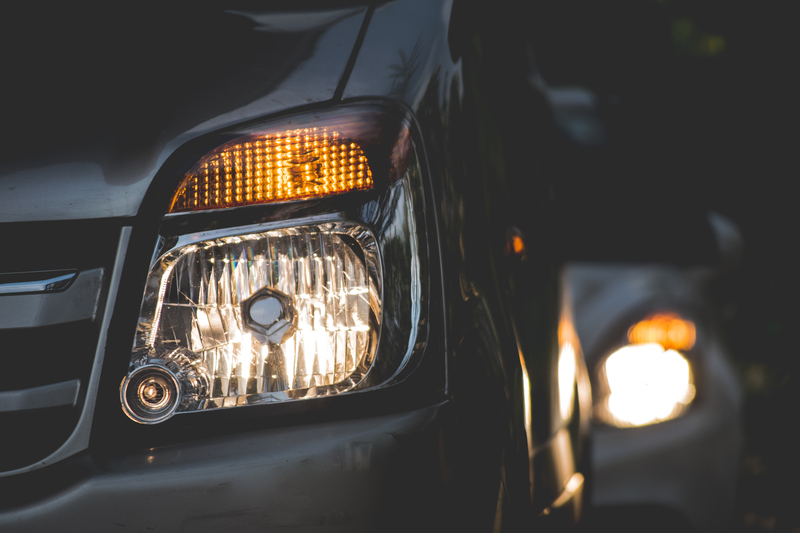 Thankfully, cleaning your headlights can be done in 4 easy steps. All you will need is a mild cleanser, a soft brush, dry towels and some water. Step One: Before applying the cleanser, you want to make sure the headlight surface is clean. Start by wiping away all dirt and debris, and dry the surface thoroughly. Step Two: Apply a thick layer of cleanser, this can be found in a headlight restoration kit or you can use toothpaste or baking soda. Allow for the cleanser to sit for a few minutes before continuing. Step Three: Using the soft brush, gently work around the headlight in circular motions. The cloudiness should begin to disappear as you continue working. Do this until most of the cleanser is gone. Step Four: Use water to clean away any excess cleanser and wipe the surface until it is clean and completely dry. Now you will notice clearer visibility on your next drive home and no more cloudy headlights!